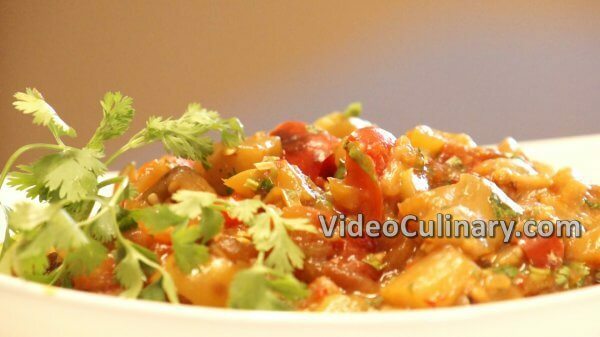 This American style potato salad is a delicious comforting side dish. 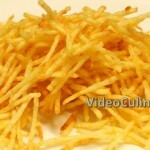 Place 1 kg (2.2 pounds) of potatoes in a pot with enough cold water to cover the potatoes completely. 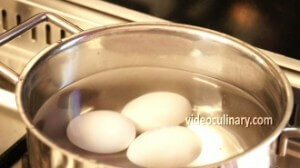 Bring to boil and cook at a simmer until cooked through. 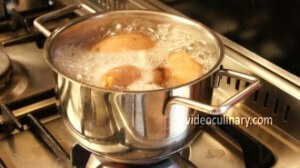 Drain the water, return the potatoes to the pot and dry over low heat until no steam rises from them. Cool and remove the skin. 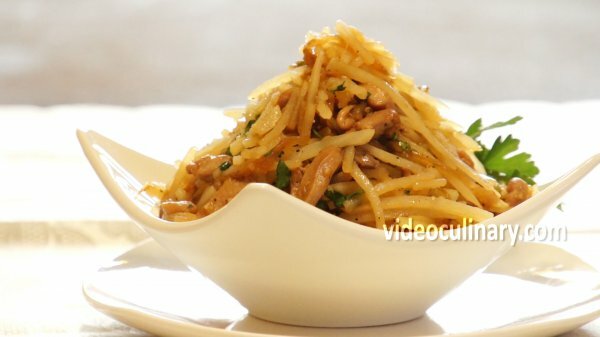 Make the dressing: Combine 300 grams (10 oz) of homemade mayonnaise, ½ teaspoon of ground black pepper, 1 teaspoon of salt, 30 grams (1 oz) of mustard and 10 ml (2 teaspoons) of vinegar. Mix well. Peel, wash and small dice 150 grams (5 oz) of onion and 150 grams (5 oz) of celery stalks. Thinly slice 3-4 scallions. 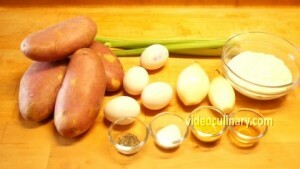 Small dice the eggs and coarsely chop the potatoes. 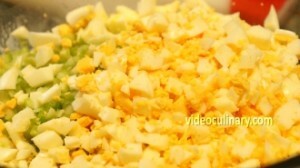 Combine with the dressing, scallions, onion and celery. 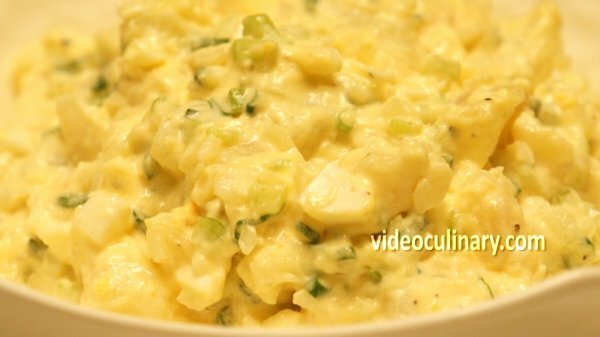 Chill the potato salad, transfer to a serving plate, garnish with sliced scallions and serve.